I love being home for a multitude of reasons. Besides getting to spend time with my family, enjoying unlimited access to food, and experiencing a regular sleeping pattern, I am graced with the presence of two dogs, two cats, and two birds (I’m starting to notice a Noah’s Arc trend here). In my house it’s pertinent to have a camera on stand-by because our pets can be caught doing something candid at any given moment. 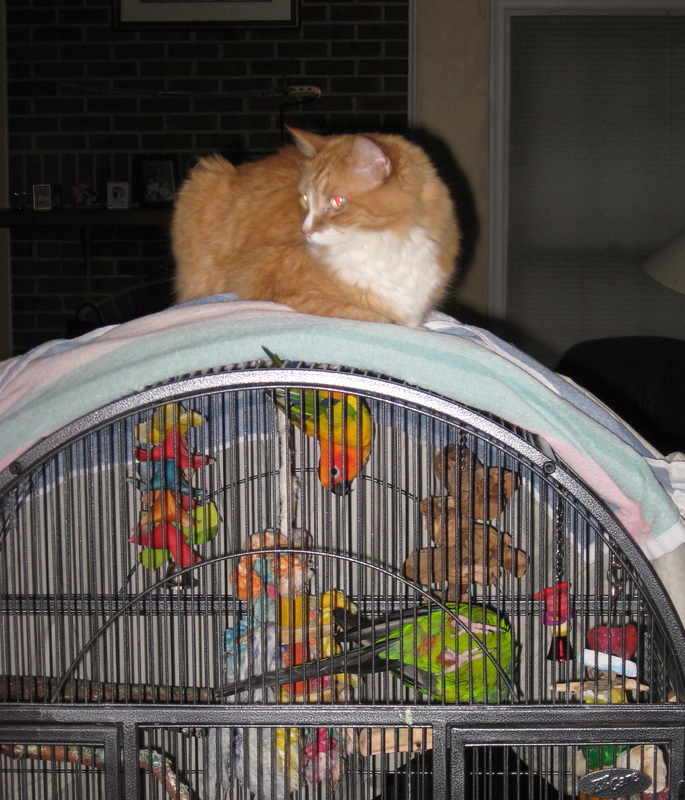 Below, my cat Tiger makes his way to the top of our birdcage. It could be that he chose this spot as a resting ground solely for its comfort, but intuition tells me that he most likely had an ulterior motive concerning the cage’s residents. I guess we’ll never know (atleast I hope not).